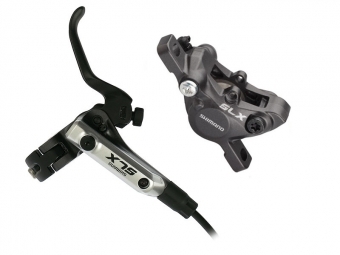 2012 Shimano SLX M666 Rear Brake Discs Black Without PM Attention brakes are supplied with conventional platelets without fins. All our brake discs are mounted, purged and ready to use, supplied with plates already mounted and a 2 year warranty. Servo Wave mechanism short stroke Easy adjustment of the guard and running vacuum Conventional brake pads Cooling fin aluminum with a stainless steel stand. Brake hose SM-BH90-SB high power 40% more rigid than the hose SM-BH80-SB Purge system simple circuit. Supplied without discs without adapters without screws. Hose length about 145cm.